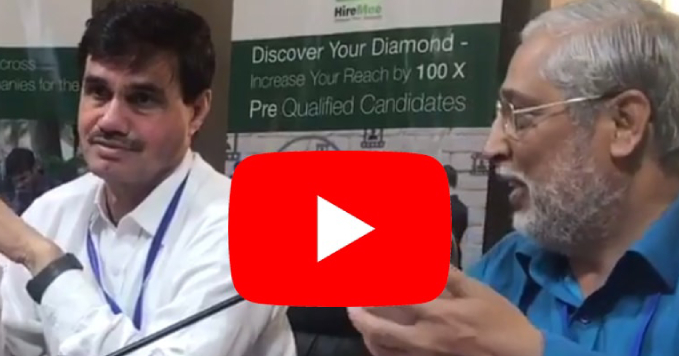 HireMee -- How HireMee is helping students to land on their dream job in 2019? An old proverb, One man can take a horse to the pond but 10 men cannot make him drink…. which means that you can give someone an opportunity but not force them to take it! 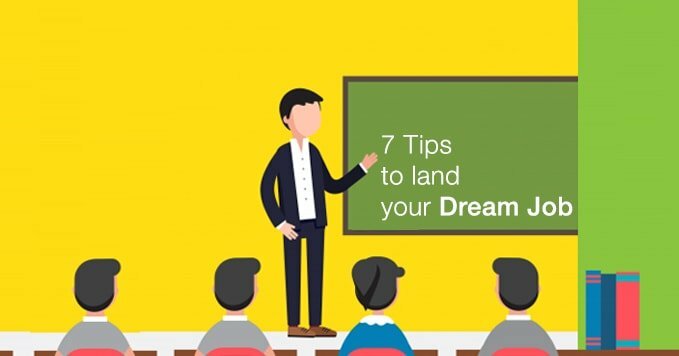 Post completing your education there are plethora of opportunities and organizations likewise to make your dream come true. It is YOU who has to make it happen! For a student to break the tag of a fresher is the most critical aspect, some from prestigious universities may land a job through Campus drives, however there are lakhs and lakhs of bright minds waiting to be lapped up by organizations. HireMee is just the solution for them! 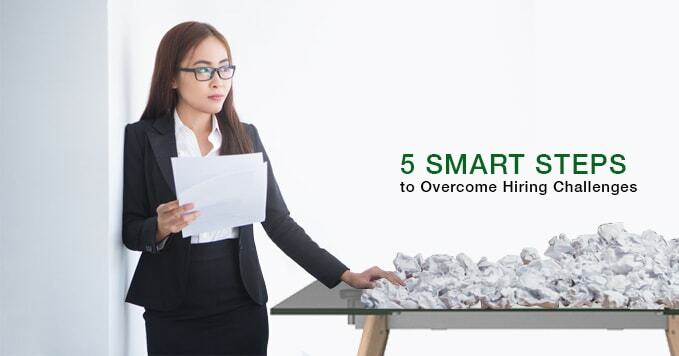 Most organizations are looking at candidates with basic smartness and skill sets for the first hiring, over a time period they induct the new joiners on specific skills needed based on their vacancies. 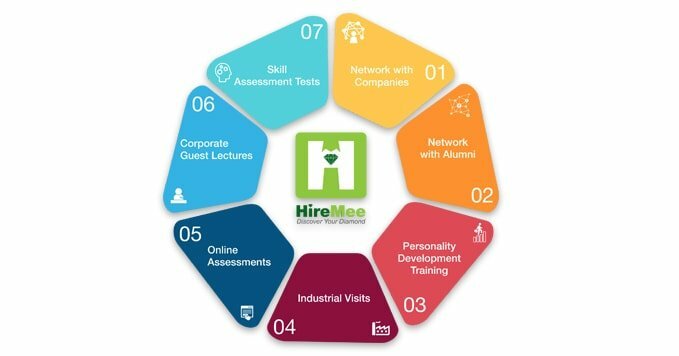 HireMee essentially is one such mobile based online assessment platform providing freshers jobs, linking corporate, student and colleges. However, not many platforms exist which provide a wholesome experience of skills, domain knowledge, communication in one go as the first step in starting one’s professional sojourn. 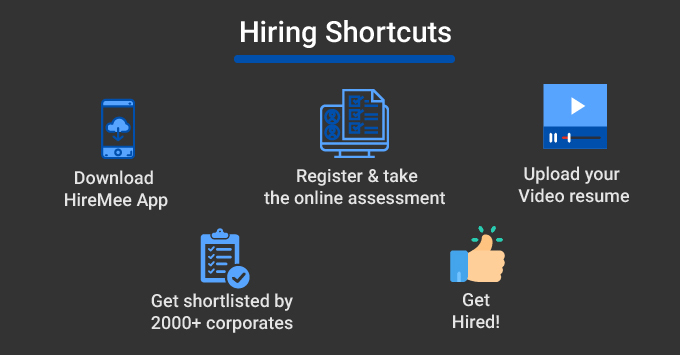 HireMee boasts of essentially closing this gap by providing pre-assessed students on vital skills and thus being a perfect via-media for job-seekers and job-hirer’s and in turn maximizing the employability for first time hire’s. Our tag line “Discover your diamond” effectively epitomizes the unpolished carats within each individual into cut, color and clarity, in a professional sense! 2019 is here and recruitment has been one of the most talked about trend for this year coupled with the fact that AI is reshaping the entire on boarding process and experience. Entry level hiring – Though super critical as entry level hirees are future Vice President’s and General Managers of the organization , it is still incredibly under rated in most organizations! HireMee provides a solution to this tedious process by assessing students on critical parameters which is needed by each and every organization. Jobs for freshers – Freshers come with certain mindsets and HireMee through its structured assessments and video resumes prepare them and familiarize’ s them with the demands of the professional environment. Going forward, by identifying skill gaps HireMee administers appropriate skill development programmes and thus enabling a fresher to be job-ready. Video resume – “Have it flaunt it”! is the new age mantra. The way you talk and present yourself talks a lot about your personality. A sure shot way of piquing up the interest of the recruiter. Here is your chance to create a video selfie and speak about your interests and skills to impress the employers in one go. Go beyond the traditional paper resume and embrace the new age technology - one minute (Three 20 seconds clips). Skill assessment – Basically a filtering mechanism and bringing out your innate abilities through these tests regardless of your scores and educational background. Our AI driven app based assessment platform tests your skills through 7 areas for Verbal, Logical and Quantitative Aptitude, Behavioral, Communication, Core Domain and Computer Skills. This helps you to strengthen your skills and employers across India view your scores to hire you for their vacant positions. So, as they say, a dream doesn’t become a reality through magic alone; it takes sweat, determination, and hard work. HireMee encompasses all these things together to bring an array of opportunities but it is YOU to go ahead and pursue them, cause if you are thirsty YOU need to go to the well to quench your thirst!